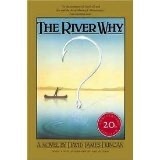 David's classic novel, The River Why, will appear in a new eiditon from Little-Brown in 2015. 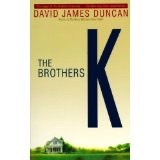 The Brothers K remains one of America's most engaging baseball novels. 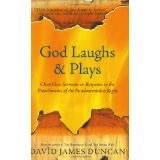 Widely respected for his materful short stories and essays, David has published three collections: River Teeth, My Story As Told By Water, and God Laughs and Plays. 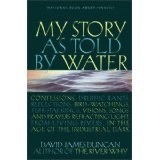 My Story As Told By Water made the short list for the National Book Award. Michael Pietsch, Executive Vice-President and Publisher at Little-Brown has acquired David’s third novel, Sun House, which will be published in late 2016. A bolt from the inlet cowl of an Aero México DC-8 falls from the sky, piercing the head of a Mexican girl hoeing corn in her father’s garden; this unbearable fluke stuns a young American Jesuit, throws his faith into crisis, and changes the course of his life. 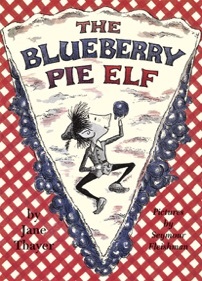 When his mother dies on his fifth birthday, Jamey van Zandt represses his anger and grows up to become a gifted actor. But once a year on his and his mother’s birth and deathday, he goes as mad as King Lear and suicidally duels with the Fate, God or Power who let the terrible coincidence happen. A young woman named Risa McKeig runs through the streets of Seattle toward a “shooting star moment” that pierces her world with a love that will eventually help heal both the heartbroken Jesuit and the angry actor. 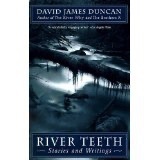 These and a kaleidoscope of traveling companions populate David James’ Duncan’s Eastern Western, a novel that continues the exploration of the human yearning for meaning and love that so enraptured readers of The River Why and The Brothers K.
The sometimes heartbreaking, often hilarious journeys of this “unintentional menagerie” carry them to the healing lands of Montana’s Elkmoon Beguine and Cattle Company, where nothing tastes better than four fingers of Maker’s Mark mixed with glacier ice, nothing sounds lovelier than a lonely flycatcher’s mating song, and nothing seems less likely than the delight a bunch of urban sophisticates, Montana cowboys, road-weary musicians, and spiritual refugees began to find in each other’s company. While some readers may compare the wit in Eastern Western to the utopian spoofing of T. Coraghessan Boyle’s Drop City, and others may find a spiritual depth comparable to the nonfiction of Annie Dillard or Thomas Merton, all will revel in a uniquely imagined world when David James Duncan examines contemporary western America through the prisms of Eastern wisdom and the unpredictable, uncontainable eros of the human heart. 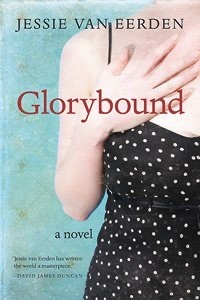 Glorybound, Jessie van Eerden’s debut novel, released by Wordfarm in 2012, won the 2012 Editor’s Choice Fiction Prize with ForeWord Reviews’ Book of the Year Awards. 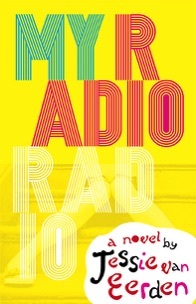 In 2016 West Virginia University Press will publish her scone novel, My Radio, Radio. Click on the cover of Glorybound to read more about this talented young author. 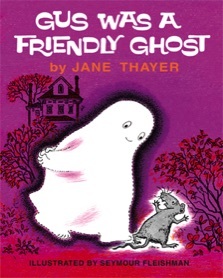 We represent the estates of one of the most prolific and beloved authors of children's books, Catherine Woolley, who published picture books under the pen name Jane Thayer. 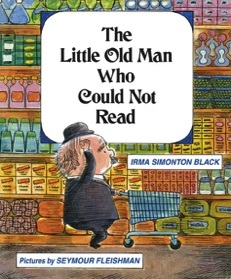 We also represent the estate of her long-time illustrator, Seymour Fleishman. Purple House Press has resissued several of their books in facsimile editions.